Oh, yay! More icon tools to play with! I feel kind of generous, WTH, whoever from the participants wants a free license to my icon editor ( http://www.rw-design...m/3D_icon_editor.php ), just sent me a PM with your name. Just a note to say I appreciate the work and effort it takes to put something like this together! A thank you is also in order to vlastimil for being so generous. The RW Icon Editor is not only perfect for my needs, but also perfectly timed! I was looking for an icon creator/editor to purchase when this kindness fell into my lap! ...the announcement email stated I should be "90% happy." That is wrong... I am 100% happy! ...and thanks to everyone for helping to make the Celebration such a success!! Yes, just PM me your name. YAY~! Thank you so much~! It's greatly appreciated~! I suppose I'm now obligated to write a help file for Duplicate Photo Finder now. Thank you Perry and mouser for all the effort that you put into organizing NANY. Things like this really do make the world just a little brighter. With vlastimils offer and the axialis winning maybe I'm destined for creating icons. Many thanks to everyone involved & Thank you vlastimil for the nice bonus. - 100% Happy! Congratulations to the prizewinners, and thanks to the prizegivers. Also, thanks to the DonationCoder team for making this such a useful and congenial place at which to hang out. Thanks very much for the BB Flashback Pro prize. I suppose I need to become a screencasta' masta' now, eh? I never got a proper chance to put those icons in. Soooo sorry. It was a great giveaway tho! Congratulations all of you lucky winners! Thanks everyone and congrats to all the other winners. Also, thanks to Rob for offering Sagelight Image Editor which I won and to all the other prize givers. I won! I'm planning some major rewrites this spring, and can't wait to incorporate a supertool like "Dr. Explain Advanced" into my development efforts. Can't thank the folks at Indigo Byte Systems enough. You're pretty cool too, mouser. You're pretty cool too, mouser. Don't say that! It goes to his head! All thanks should really go to Perry -- he rounded up most of these giveaways -- i just watched on in awe. Special thanks to Curt for getting the Sagelight copies to give away. And of course, huge thanks to the companies who donated the software to give away. You've done an amazing job, Perry. Many thanks! Does anybody know how to get the non-trial version of Axialis Icon WS? I emailed Marc EMILE this morning but haven't gotten a reply. It appears that the trial version is not able to upgrade with the serial number. Agreed He's DoCo's Agent P! See app's thread on this subject. That's funny: never seen that before. But (like mouser said), I was blown away by the generosity of the companies I approached for the Giveaway (which really was meant to supply tools for the NANY Volunteers -- but I think I got the cart before the horse with that one )... Every company I approached immediately said they'd contribute prizes!! I think the DonationCoder Community has a lot to do with that sort of response!! +1 and here is something I composed just for fun!! There was one who joined back in '05. But it wouldn't be too long before he'd earn this song. 'Now lead's all the NANY's that go on here! He works with all the members in every way he can. Because it is obvious he don't sleep! Our beloved Mouser does all that he can. But the load is too heavy for just one man. Now he can shout "Yippie!" 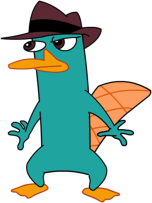 for a fellow named, "Perry." 'cause now Mouser can go get a sun tan! Thanks again, Mouser & Perry! NANY is getting better and better. This is the first time I participated and I am amazed. The press release possibly helped my tiny tool being added to komando.com getting 1000's of downloads, then the mug , and now a chance to win :-). Hahahah~! Nice twist on the phrase~!